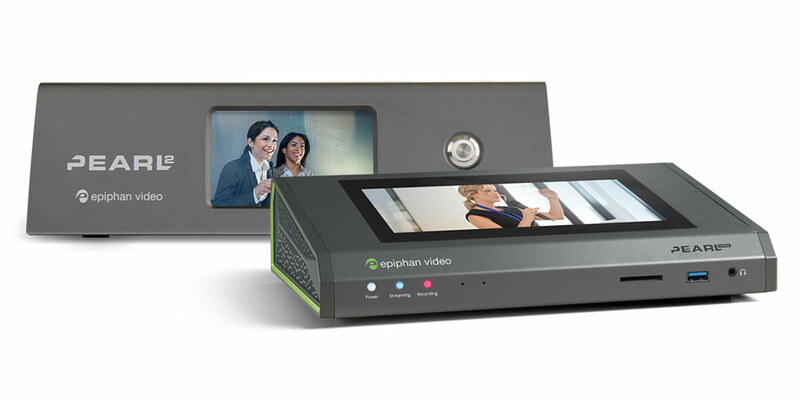 Palo Alto, CA, August 17, 2018 – Epiphan Video, a leader in professional audiovisual capture, recording, and streaming products, announces firmware update 4.5.1 which adds remote login to the Epiphan Pearl™ family of all-in-one video switcher, streamer, and recorder systems. The Pearl-2 and Pearl Mini video encoder and production systems are easy to use and built tough to deliver professional results. Already an industry respected and reliable choice for live production and lecture capture applications, adding remote login makes our advanced production solutions an even better choice. With remote login, you can securely access to your Pearl system from anywhere over an Internet connection. Quickly take control of Pearl for remote rescue troubleshooting, control the video switcher, recording, and more. Our easy-to-use advanced solutions, such as Epiphan’s Pearl-2 and Pearl Mini, support streaming simultaneously to multiple CDNs at resolutions up to 4K. Pairing your Pearl to a free AV Studio account opens up new avenues to use our video production systems in a wide variety of remotely controlled scenarios, while remaining completely secure.